On the face of things, the West Ham Fanbase seems to be at war, with threats and mud-slinging from all quarters. Pathetic and laughable springs to mind, West Ham from the dark ages not today. I, accept that West Ham’s support is a ‘broad church’ with people seeing things differently. But the heroic efforts across the board, in raising funds for little Islas Caton’s brave fight against a rare cancer called Neuroblastoma – are the actions of ‘real’ West Ham. Those efforts tell you that deep down, despite our superficial differences we are one. What we now are leaders to step forward from amongst us and unite all factions of our fanbase. We, are West Ham NOT Gold and Sullivan, we are going to have to drive change. Because to reach the next level we are going to have to change. We, are going to have to think and act like a big Club! Karren Brady singling out the ‘Real’ West Ham Fans Group saying that they were delighted to have reached an agreement with the ‘Real’ West Ham Fans Group, regards March the 10th march shows you out of touch Mrs Brady is. Part of the agreement was, that The Board would match the amount of money the ‘Real’ fans made for @islasplight. Providing the March was called off. How despicable can you get? Playing Russian roulette with a young girl fighting for her life. March and little Isla’s plight gets nothing. Not West Ham! West Ham always look after their own. On Saturday night, after being routed by Swansea City 4-1. Co-Owner David Gold was surrounded by fans, and all sorts of abuse was hurled at him. The old “I’m only an old man” tearjerker does not wash with me. I do not believe he was under threat on Saturday night, but to hurl vile abuse on any 82-year-old man is the action of cowards. Not West Ham. We’ve also had a banner saying that Gold and Sullivan have done more damage to The East End than Adolf Hitler. So many different cancers destroying our Club, people pulling in different directions. What happens off the field more often than not reflects on the pitch. So, it is no wonder we have shambolic performances, like we have seen on the pitch recently. However, don’t be afraid, we must and will overcome! Sure, difficult days lay ahead, but we can turn this around. I will tell you what is ‘REAL’ West Ham: People of every creed, race, age and sexual orientation being West ham and proud. All claret and blue to the core, all wanting the best for our great club. It’s in our blood! Where, some 40 or so years ago, long before my time people were throwing bananas at black players. West Ham? We were different, we had the Big Bermudian striker Clyde Best playing as striker, as well as John Charles and Ade Coker. More recently we had a young Nigel Reo Coker, as Club Captain, when we lost the 2006 FA Cup Final to Liverpool on penalties after drawing 3-3. Absolutely heart breaking! Despite the disappointment of losing the final, our supporters stayed to the end. Applauding our players as well as the Liverpool team. Steven Gerrard Liverpool’s captain was moved to say West Ham is a real football Club. So much to be proud of West Ham over the years, as of present we had insure testing times as well, getting beaten 6-0 by both Luton Town and Oldham Athletic, 7-1 by Blackburn, 4-0 by Bolton in the rain, and of course the FA Cup semi-final against Nottingham Forest when we had Tony Gale sent off. We stay till the end singing Billy Bonds claret and blue army! West Ham and proud! That is ‘Real’ West ham! Loyalty to the core. West Ham have always stood for decency. Despite all our troubles we still do. So, what of our troubles? I’m not going to spend hours dissecting my feelings on the board. You know the script Lies, lies, and more lies. Phantom ‘bids’ after phantom bids, linking us to this star or that, all utter crap! Reality? Patrice Evra on a free. They may be masters at manipulating the media to their advantage. But… even that doesn’t work anymore, nobody falls for their lies and spin. It shows you how out of touch this Board has become, that Sullivan really thought he impressed people when he said: “We bid 25m for Joe Allen!” The man is off his nut! It’s like hearing someone saying: “I was only ONE ball out on the lotto! I would have won NINETY-TWO MILLION!” like Sullivan, nothing but a great pretender. One ‘marquee signing, another costing a bit of money, an expensive loan, freebies, cheapies and loan after loan has always been the way Gold and Sullivan have operated, always on the cheap. Selling the Boleyn Ground on the cheap, promising to take us to the ‘next’ level has left a bitter taste in everyone’s mouth. Sheer greed was what the move to The London Stadium was about. But we can still turn this around and we will. One of the biggest shortcomings about West Ham is that there is no leadership, as a result you have very little structure and no accountability. Yes, I know that we have had a few pastings, I’m not surprised really, a threadbare squad and unbalanced squad was always going to make things tough for whoever the manager was. But come the end of the season, I can see Moyes completely overhauling The Club from top to bottom. Scouting and signing players, senior and at youth level. We, have signed too many youth players, who have been discarded from the likes of Manchester United, Chelsea, Arsenal and the rest. Sadly, more often than not they have not made the grade at West Ham either. Improving our scouting is a must. Behind the scenes on the football side of it, Moyes will get it right. So, what are we going to do about the kings of spin? First off, we can all send messages like: sell up! Just f*** off! And the rest. But the stark reality is the golden age of Billionaires snapping up football Clubs and spending millions on new players are long gone. We have no West Ham ‘sugar’ Daddy, ready to be a super hero and take us to the next ‘level’. The trust between the fans and The Board has broken down beyond repair in most cases. Almost like splitting from a partner and living in separate rooms, till one or the other moves out. The atmosphere in the house being toxic, the big difference being the fans are not moving out and neither are Gold and Sullivan. We are going to have to talk at some point. We have had various fan groups going up to meet with Mrs Brady. At the second meeting, the delegation was supposed to meet The Board, unfortunately there was no sign of Gold and Sullivan. Not good enough! The, delegation should have turned around and walked out, as a far tougher approach needs to be taken when dealing with The Board. Brady dictated what she would talk about, and what she wouldn’t talk about. Surprise! Surprise! Transfers and finance were two no goes. What we need is a fan group, which has the full backing of the broad spectrum of West Ham’s magnificent support, being ready to grill The Board when needed and leaving no stone unturned. There has been much talk about the 10th of March that was cancelled, I’m all for a March as a means of protest. My God we have plenty to protest about! However, postponing the march may be a blessing in disguise. We, need to be unified to make a march effective. The, best way would be to work in tandem with the fan group meeting The Board. No progress with The Board, then we ALL march! United we stand, divided we fall! Like a tree standing by the waterside, we shall not be moved! We are ALL real West Ham! One of the biggest problems we face at The Club, is that there is a lack of leadership. We need someone to pull The Club up by the scruff of the neck. Someone to help restore trust. There is one person who towers above anyone else, one person who can restore unity, a person who demands respect. All top Clubs in Europe have a Club President. Time to do the right thing. Time to make Billy Bonds Club President. Billy has both the stature and respect! Billy Bonds can lift the whole Club, on and off the pitch. Billy Bonds never suffered fools. Some have said he wouldn’t work with the present Board. I think if asked he would, if anyone is ‘real’ West Ham it is William Arthur Bonds. Bonds once had a persistent toe injury. He was faced with a decision, he could end his career or have his toe amputated, get some physio and get back into the team. The toe got the chop! 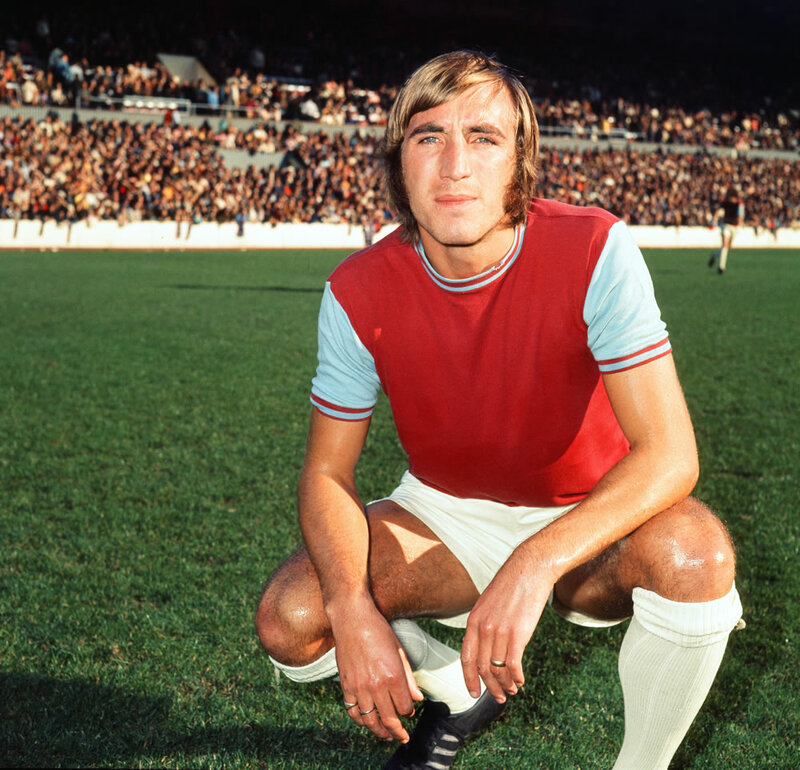 Billy Bonds would bring unity and restore confidence to West Ham. Either way the times are a changing for Gold and Sullivan, you and I are West Ham we will not stand by and let OUR Club be destroyed, unity is our strength. Unified we most certainly will be for the visit of Stoke City. For once it will not be a case of fortunes always hiding, but fortunes siding. West Ham 2 Stoke City 0! We are more than a football Club, we’re a way of life!! It would be nice if we could find some unity before the Stoke game, that’s still over a month away!